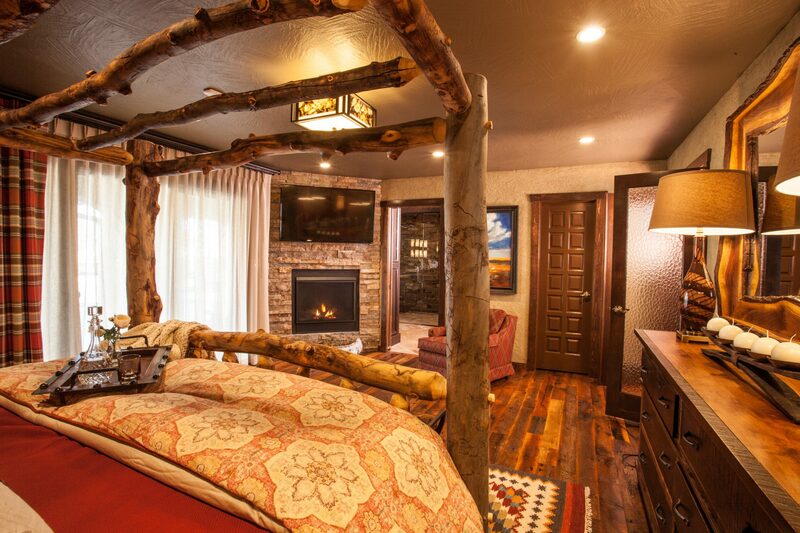 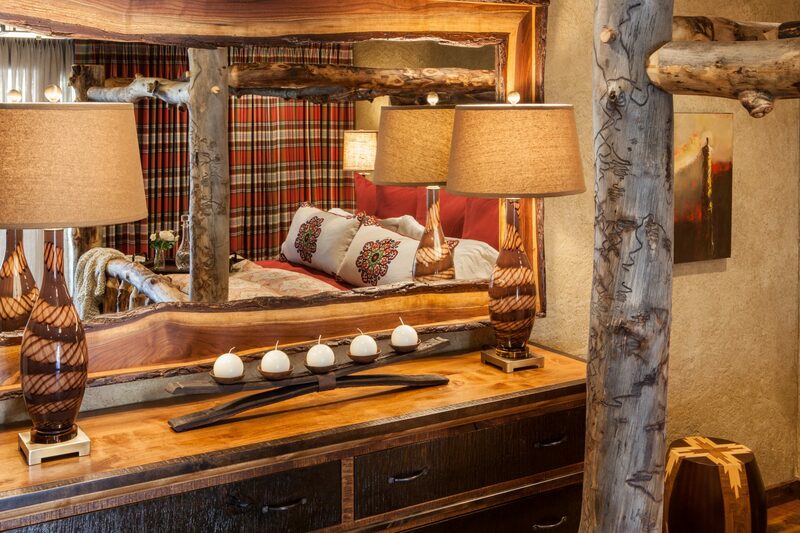 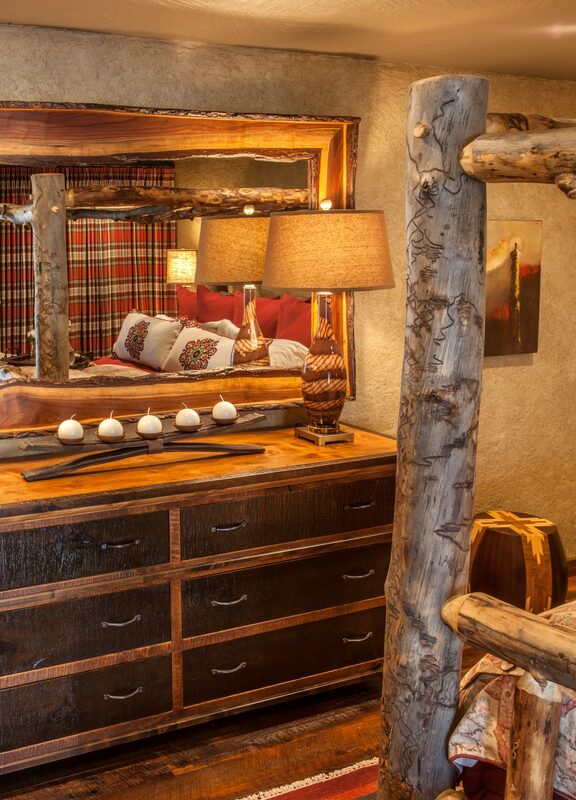 This master bedroom features all the features of a luxury resort lodge. 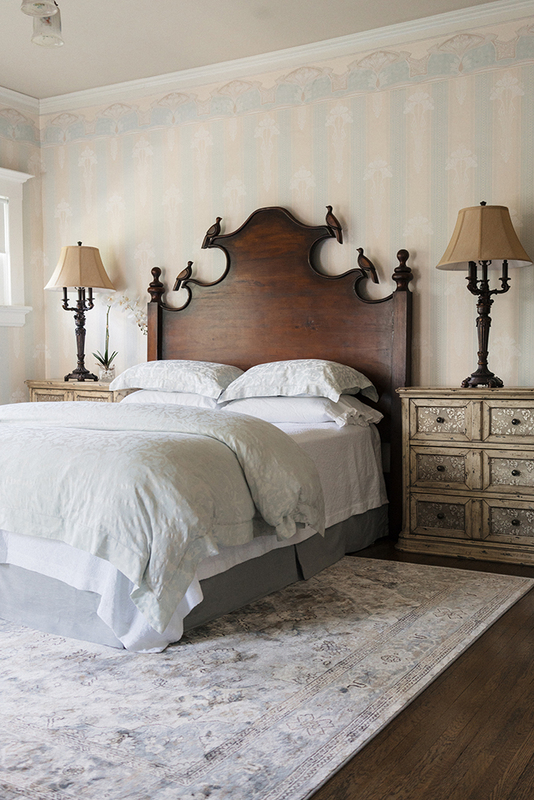 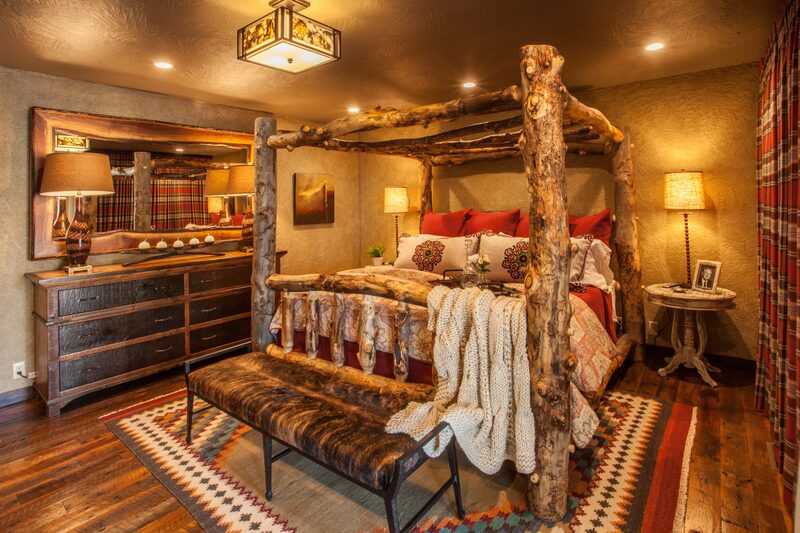 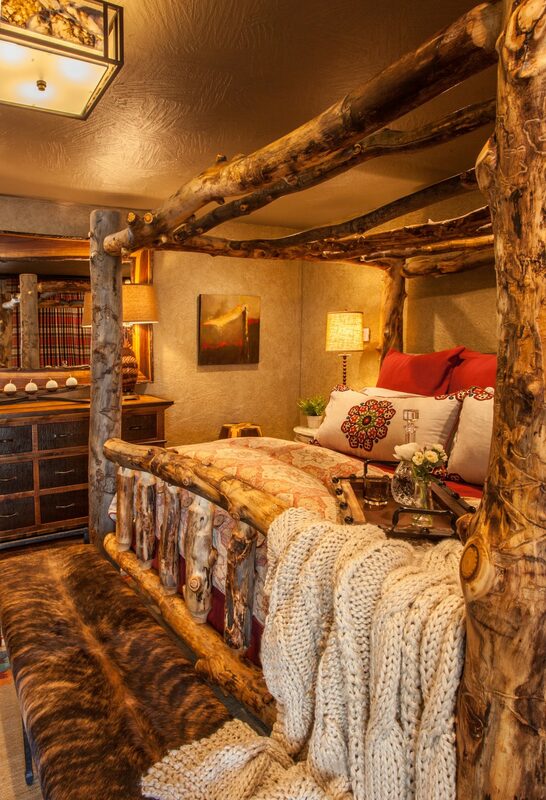 The one-of-a-kind Aspen canopy bed holds custom linens in warm, Southwestern colors. 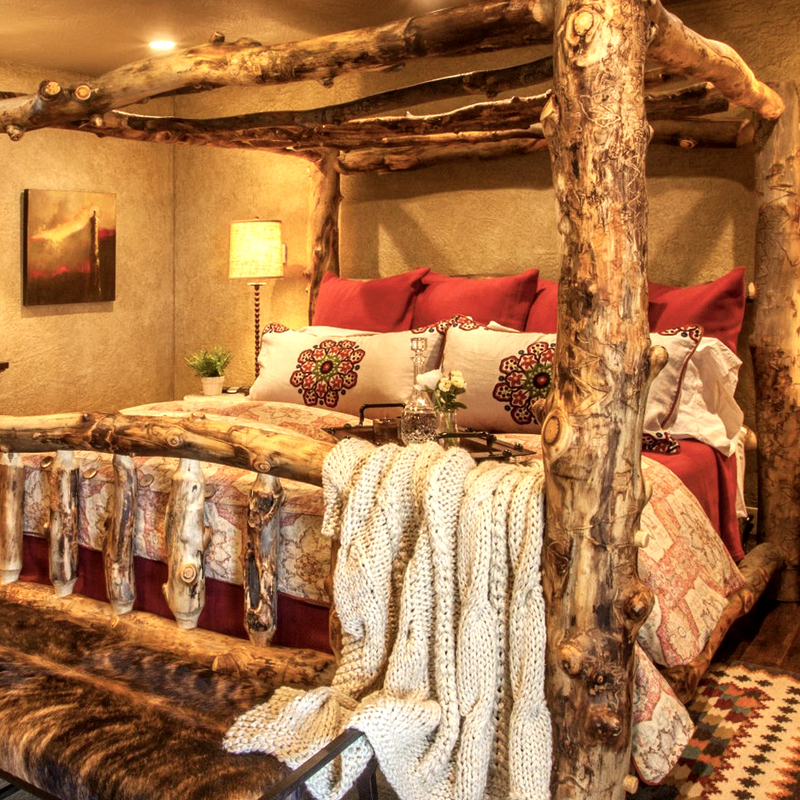 A rock-faced corner fireplace and sitting area balances the room. 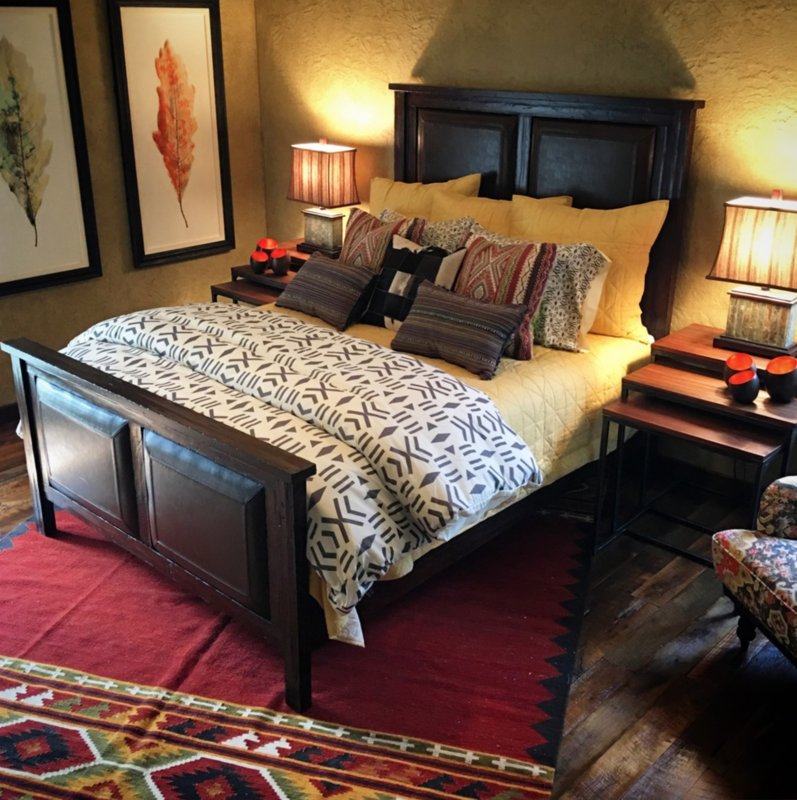 Reclaimed wood flooring and a Native-American print area rug anchor the room. 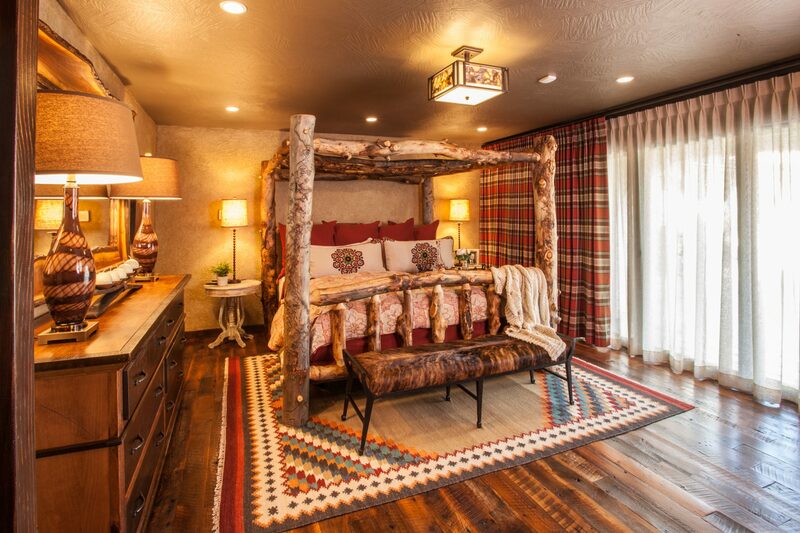 The large sliding glass doors—framed with wall-to-wall plaid drapery—opens to a large lanai and pool area.